Innovation at your fingertips: the first third-party apps now available on the Application Framework. The Cybersecurity Canon is an excellent resource for discovering must-read cybersecurity books. Check out the latest review. Learn more about the technical options available to decrypt traffic on your network, including web proxies, application delivery controllers, SSL visibility appliances and next-generation firewalls. Palo Alto Networks CSO Rick Howard introduces us to Navigating the Digital Age, Second Edition. 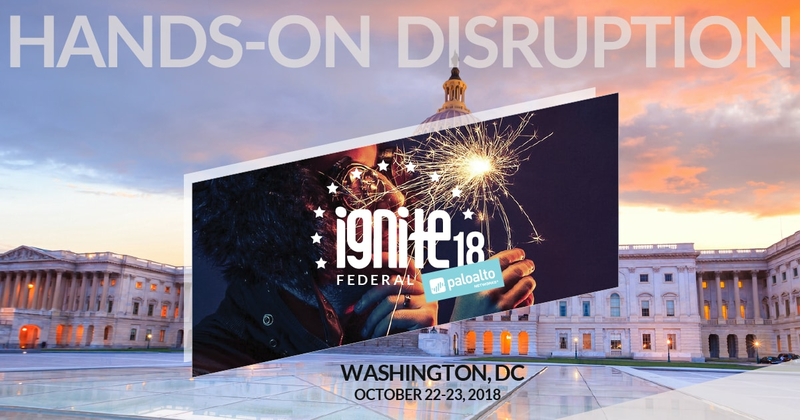 Hands-on disruption travels to Amsterdam: check out highlights from Palo Alto Networks inaugural Ignite ’18 Europe. Take a look at upcoming events around the world. Don’t forget to register through our events calendar. Your move to the cloud, secured. Get your toughest cloud security questions in these on-demand breakout sessions. Looking to meet up with other Palo Alto Networks customers? Check out Fuel, the Palo Alto Networks User Group, for opportunities to attend hands-on workshops, events and more! The post News of the Week: October 13, 2018 appeared first on Palo Alto Networks Blog.